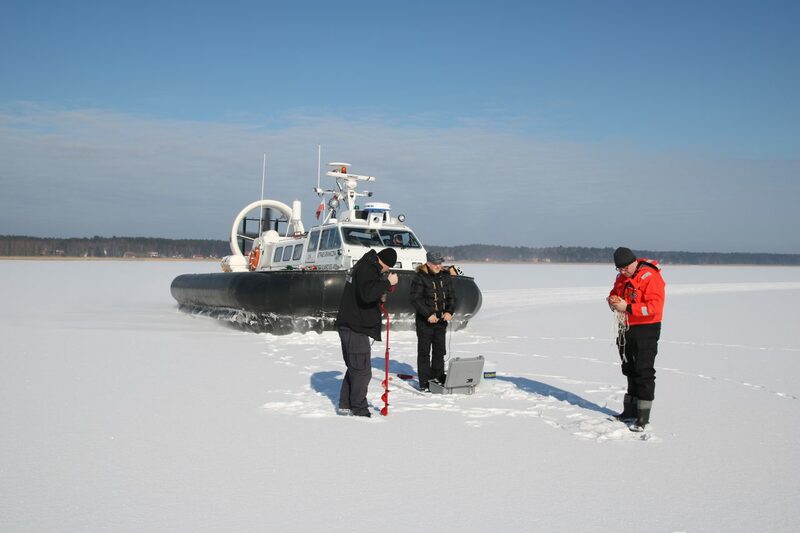 On Friday, 23 February 2018, the team of three National Marine Fisheries Research Institute employees, thanks to the courtesy of the Marine Unit of the Border Guard (including the hovercraft crew), had once again the opportunity to conduct research at the frozen Vistula Lagoon. 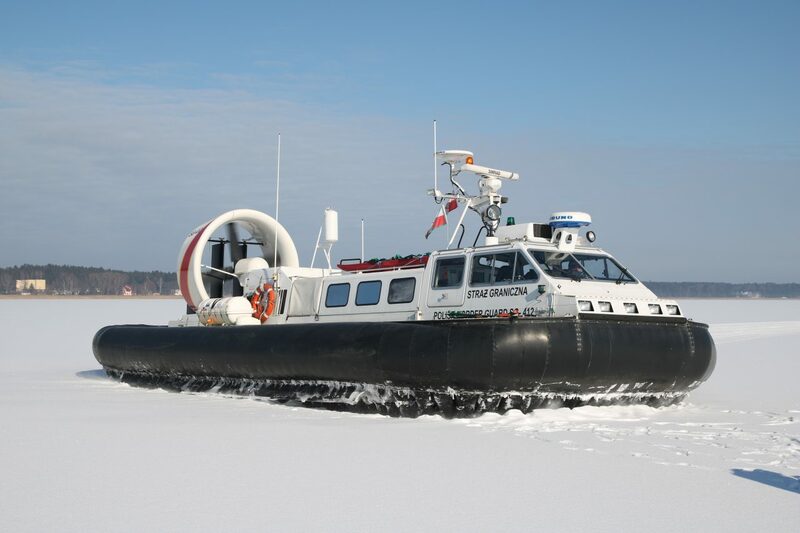 We conducted first studies using the hovercraft in 2012-13, and now we have returned after a 5-year break. 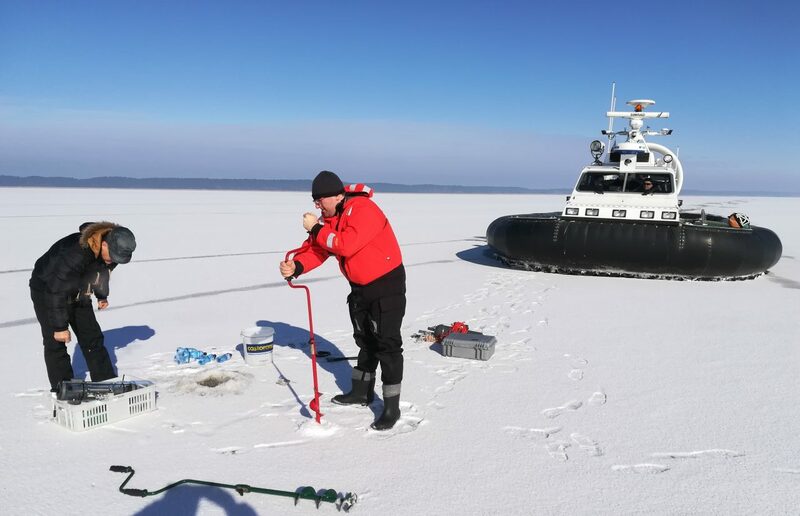 With great weather, ice cover of safe thickness and cooperation from the invaluable hovercraft crew, it was possible to sample at all previously planned 9 study sites. 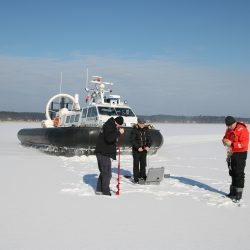 We took samples of water, phyto- and zooplankton, and at the same time determined the basic physical and chemical parameters of water. 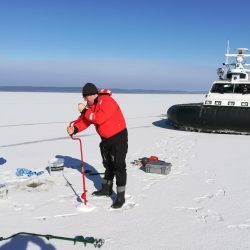 The goal was to determine the functioning of the pelagic biocenoses of the Vistula Lagoon in ice conditions. 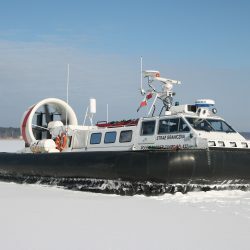 We would like to express our warmest thanks to the command of the Marine Unit of the Border Guard, hovercraft crew and all guards (also from the Warmian-Masurian BG unit) involved in the preparation and successful completion of the entire project. We also thank the employees of the Advanced Environmental Analysis Laboratory of the Technological Park in Elblag for renting a probe to measure the physical properties of water and undertaking chemical analyzes. We count on further cooperation.